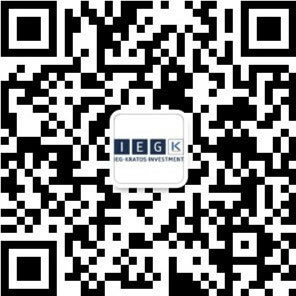 IEG – Investment Banking Group is moving to the next level in the growth market India. With its joint venture IEG India, founded in Summer 2016, IEG has had quick successes, landing six attractive and prominent mandates straightaway. This winning track will now be further pursued with even greater focus and an expanded team. “Being a global investment banking boutique, India is a very attractive market for us. We meet very talented and experienced entrepreneurs and discover exciting and scalable business models on a daily basis.” enthuses IEG CEO Stefan C. Heilmann. Mihir Kapoor, who has already constructively and successfully worked with the company in recent months, has been appointed CEO of IEG India. Kapoor is an experienced investment banker for cross-border transactions and brings along expertise in the Food & Agriculture, Clean Tech and Technology industries. “I am really looking forward to the new role at IEG India and am proud to be part of such a professional and successful team. India is experiencing a growing demand for internationally experienced, locally anchored specialists for transactions and financing for Internet & Technology. Our goal is to become the number-one investment banking house for India’s Internet & Technology sector.” To support this goal IEG’s own networking event, DIGITAL FRIENDS DINNER, will take place twice in India in 2017. Mihir Kapoor will be joined by Vice President Philipp Hartz as Co-Head India. Hartz’s appointment as Co-Head underscores the special significance of the Indian market for IEG. Philipp Hartz contributes his understanding of digital business models, in particular his expertise in market places, media and e-commerce. Working closely with the headquarters in Berlin, Hartz will ensure that the company’s strategies are implemented and efficiently executed. IEG India’s previous managing director, Abhishek Som, left his position on 11 January 2017; Abhishek Som will support the company as an external advisor in 2017.